In 1997, the IEEE came out with the original 802.11 standard. This “802.11” technology term simply refers to Wi-Fi. Since then we’ve had ratifications or updates to this standard including 802.11a and b, 802.11g, 802.11n, and 802.11ac. Each new standard introduced progressively faster Wi-Fi speeds. The final ax standard is still a work in progress. Manufacturers have not made it clear that these products are IEEE draft standard based, and it is unlikely any U.S. government agency will force them to disclose. One example of a crucial missing AX feature is with uplink MU-MIMO. The first round of draft 11ax products do not support it, but the chipset manufacturers say that their devices can support it. The 11ax consumer routers are hitting the market before draft 11ax devices. Widespread availability of devices will depend on a released standard. Once released, then the US mobile providers will likely join in. 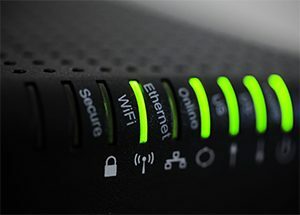 Most of the millions of Wi-Fi devices on the market will at least connect and get reasonable bandwidth with the new draft 11ax router. Manufacturers are testing with Android and iOS for reliable operability, but only time will tell. Hiccups are certainly possible. Will you see improved performance? Once the 11ax devices hit the market, you will find a significant improvement to your existing network, which will also help your Wi-Fi devices run faster. Meanwhile, an 11ax router may provide small gains due to better design and faster processors.